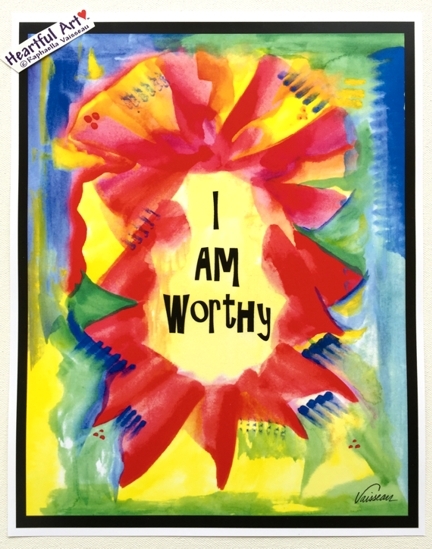 11x14 inspirational words as a self-love affirmation created by Raphaella Vaisseau "I am worthy" - To encourage nurturing and honoring of self, this affirmation reminds us we deserve and are worthy of love, respect, and all things good. Love yourself. Know your worth. Enjoy life. Be happy. Take care of yourself.